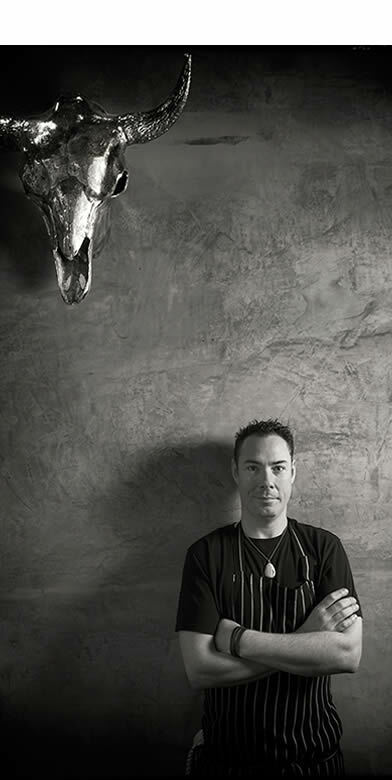 Chris Wade presides over the kitchen at Steak Ministry after many years cooking and learning alongside the greats, in some of the best-known restaurants in the world. 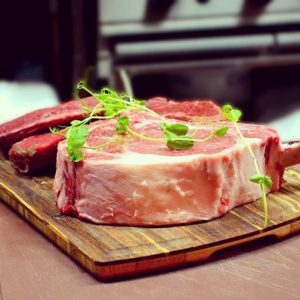 Highlights include time at Quo Vadis with Curtis Stone as executive chef, at Gordon Ramsay’s Michelin-starred restaurant on Royal Hospital Road, and at Araxi (the most acclaimed restaurant in Whistler, Canada). Chris has also graced the seven seas with his culinary presence, working on board the world’s only six-star floating resort, and as a private chef for a number of high-profile clients on board yachts and luxury liners. 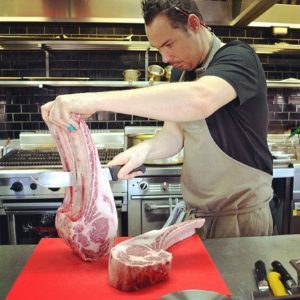 Here in Australia, Chris has worked at Reserve in Federation Square, at Seagrass Seafood Restaurant in Southbank, and as an executive sous-chef at The Point at Albert Park, which is where he says he found his love of high-quality meat. He also attained the position of executive chef at the Royal George Hotel in Kyneton, where he received his first chef’s hat in The Age Good Food Guide in 2010. This is not the only honour Chris has earned – he was also the runner-up in the World Association of Cooks’ ‘Global Chef of the World’ competition in 2007 and went on to represent Australia at the Pacific Rim round of competition. 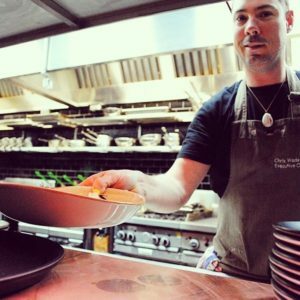 Chris was a finalist in The Age Good Food Guide ‘Young Chef of the Year’ awards. 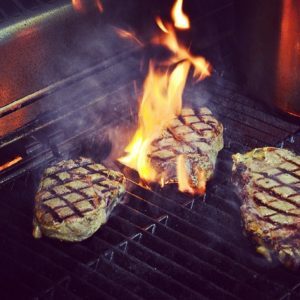 Witness the culinary magic whipped up by Chris and his team as you catch a glimpse of them hard at work in our kitchen – the pulsing heart of Steak Ministry.